Anyone who has ever lost someone close to a prolonged illness truly understands how important good palliative care is for the whole family. From my own personal experience when my dad was ill, the support from Mcmillan nurses was much needed, particularly for my mum. In his final weeks, we couldn’t have asked for more from a very caring and professional team at the memorial hospital in Melton Mowbray. My dad was, in general, a very open-minded person which was a blessing when he was ill as he was open to trying alternative ways of healing. 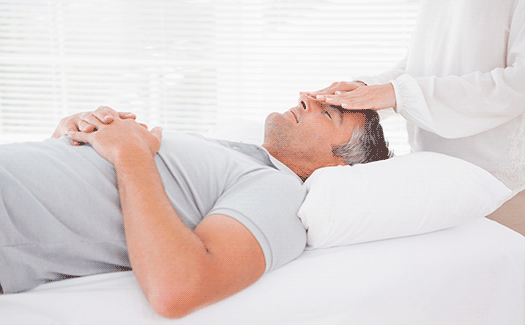 My parents found a group of healers who would offer Reiki and other therapies at a nominal fee once a week. My mum and dad went every week until he was too ill to go anymore. It was the Reiki healing and the time spent with the group that gave my dad the most comfort, it helped him feel more positive at a very difficult and painful time in his life. 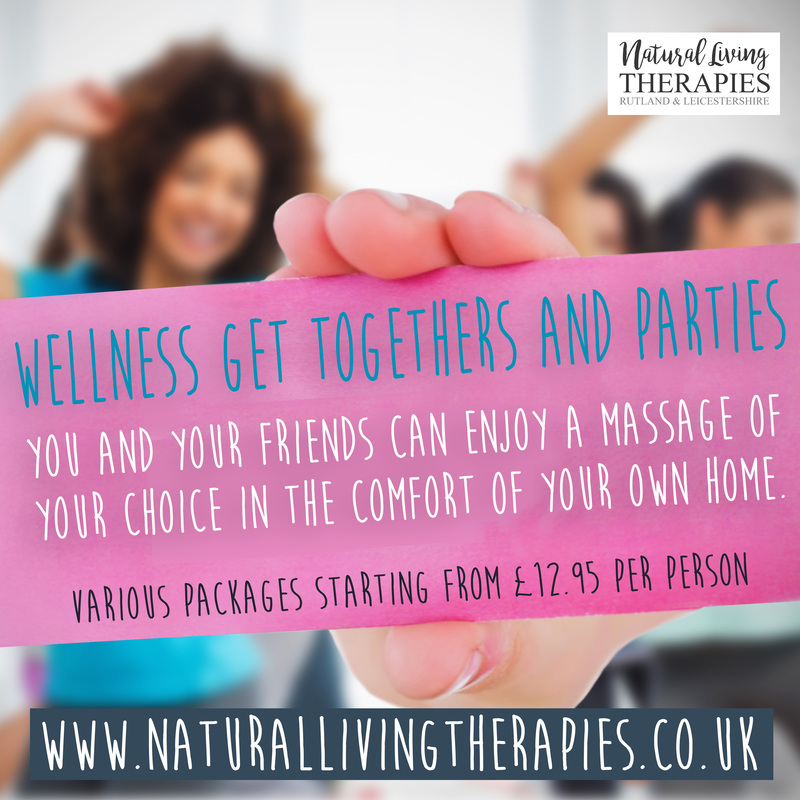 I was 24 and a Uni studying Media when my dad became ill, I didn’t have a clue about complementary therapies or Reiki. But I could see he felt the benefits of it and looked forward to going, so I felt really positive about it. What I found interesting at the time which I have never forgotten is the doctors surprise that my dad didn’t need the usual level of pain relief and medication whilst he was having regular healing sessions. 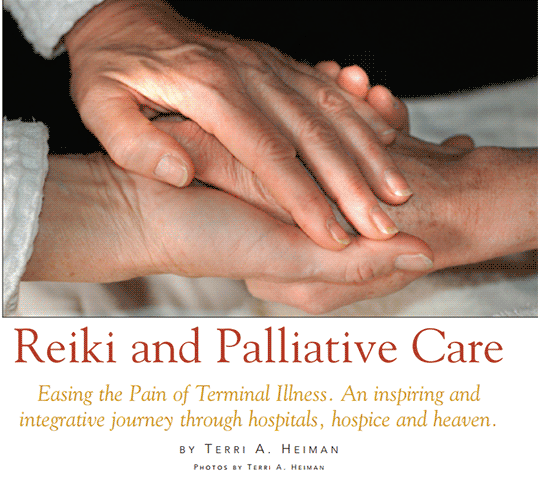 Reiki cannot offer a cure for an incurable illness, what Reiki can do is increase the quality of life someone has by relieving some of the physical and emotional suffering. 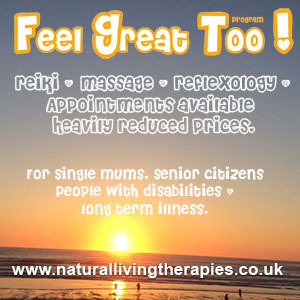 A Reiki healing will be different for everyone and each session will be different depending on what the person needs. Reiki often brings calmness and peace, positivity, clarity, balances emotions. Below I have attached a beautiful and inspiring story about a woman called Ellie who was suffering from a terminal illness and was facing leaving behind her children and her husband. The story is about the journey Ellie and her Reiki healer Terri took and how the Reiki healing gave Ellie more clarity and energy when she was very ill.